Mommy's Favorite Things: Liam's 1st Birthday! I can't even believe I'm writing this right now! My baby, my very last baby turned 1 yesterday! He's 1! He's a toddler, not a baby anymore!! Born at 7lb 8oz and 21" long, he is now around 21 pounds and 31-32" long (he goes tomorrow for his checkup). He's such a happy little boy. Never cries, is super sweet, loves to snuggle and is so happy all the time. He's my little sweetheart! 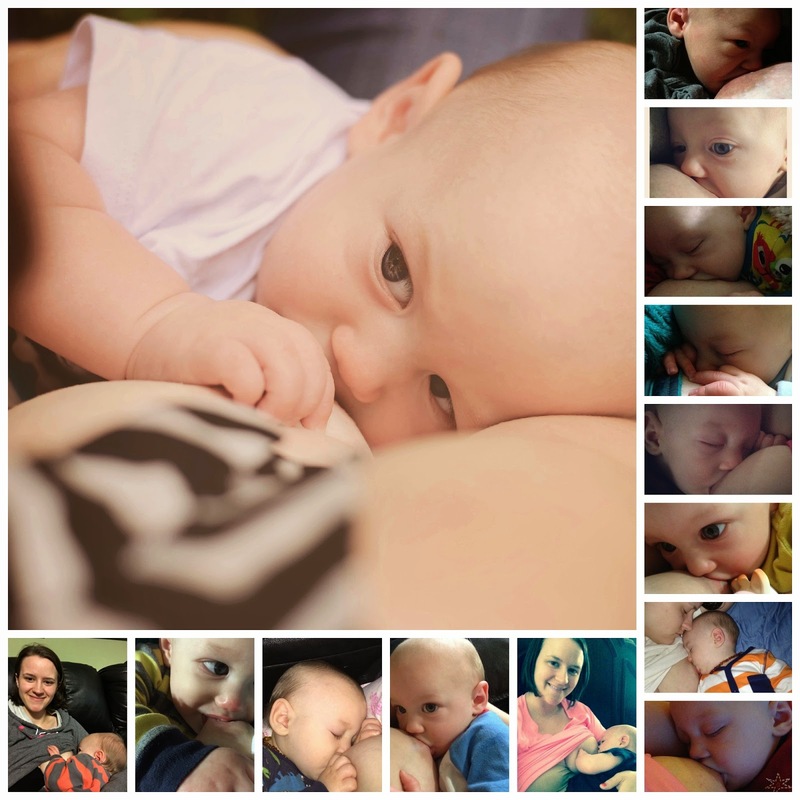 We have made it to a year of breastfeeding! Not a single drop of formula for this little man. That was my 5th breastfeeding goal and we DID IT!! 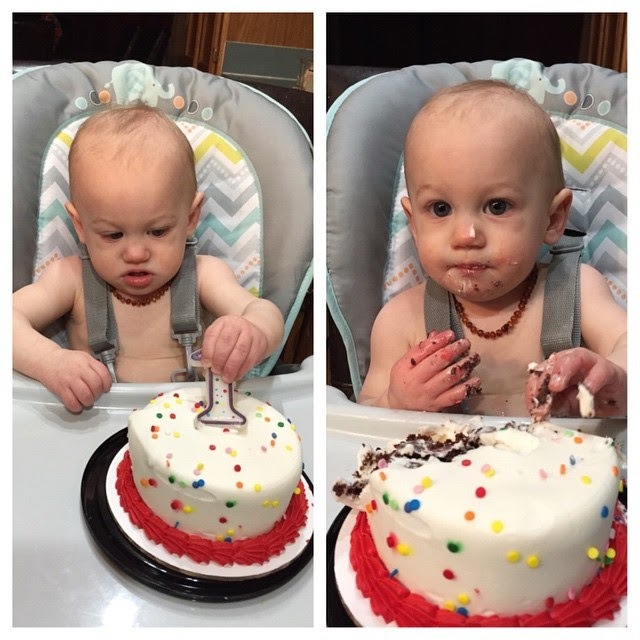 Without further adieu, here are pics from his 1st birthday! Cake!!! He was so delicate with it!! He is my first baby to not need a bath when he was done! That's it!! Overall a great day! And even after late night cake he slept like a champ! !